Lost data does not mean it’s gone forever. dr.fone is the perfect companion to our award-winning desktop app. The combination recovers your accidentally deleted data on your iPhone, iPad, and iPod Touch. dr.fone is a toolkit for all mobile issues like recover data, repair system, transfer data, backup and restore files, and so on. If you want to keep your mobile running at 100%, you will need it. 1. Recover lost data: Lost data doesn't mean it’s gone forever. 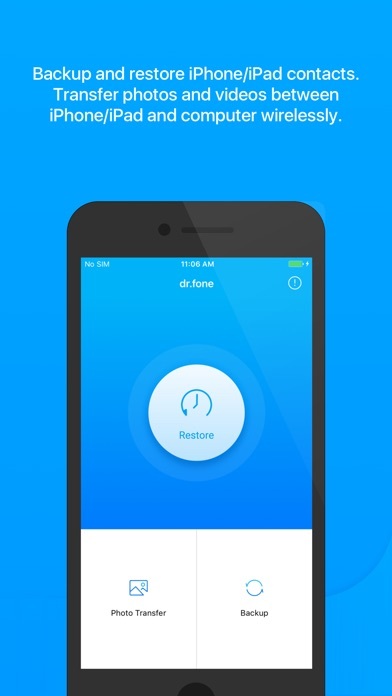 dr.fone can help you recover lost contacts, messages, notes, and more. What you need to do is to turn your device into Airplane Mode at the first second when you realize your data was lost. Then use dr.fone to retrieve it as soon as possible. 2. Repair iOS: You can easily fix various iOS system issues like recovery mode stuck, white Apple logo looping, black screen, looping on start and more. dr.fone won't hurt your data at all. 3. 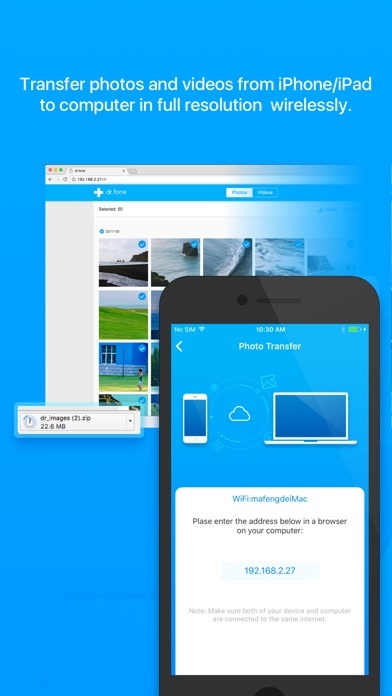 Wireless transfer: You can quickly transfer photos and videos between your iphone/ipad and computers, including Windows and Mac. You can do it wirelessly when your iOS device and computer are under the same local area network. It's an easy work for everyone. Wireless transfer is compatible with Safari, Chrome, IE, Edge and Firefox. 4. 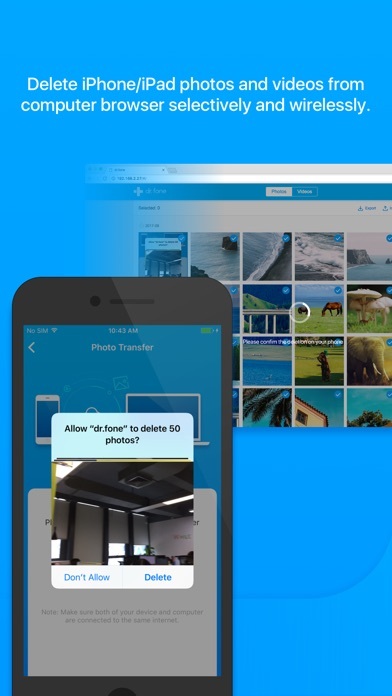 Flexible management: You can easily manage photos and videos on your iPhone like deleting, exporting and importing. All this can be directly done in a browser on your computer. 5. 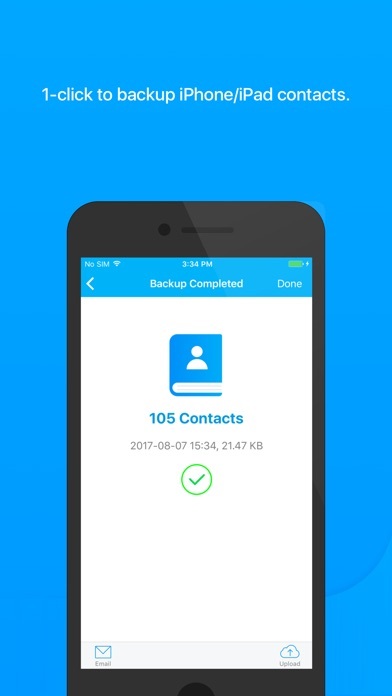 Backup and restore: You can backup contacts to your computer as a vCard(VCF) file and restore/recover it to your iPhone when there is a need. You can choose to restore the contact backup file to your iPhone/iPad or choose to upload it to your account like for Dropbox, Google Drive and OneDrive. 6. Manage WhatsApp messages: You can transfer, backup and restore WhatsApp messages as you wish, from iOS devices to iOS/Android devices and computers. 7. Protect privacy: Permanently erasing every trace from your old device brings you a better enjoy with your new device, without worries behind.Or you can only select to erase what you want from your current device to avoid leaking. 8. 1-click phone transfer: You can transfer data from one phone to another without losing any data, like between iPhone, Android, Windows Phone, Symbian, etc. It supports 3000+ devices. by TCL Mobile Communication Technology (Ningbo) Co., Ltd.